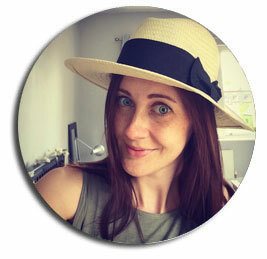 Char Taylor is a UK based blogger who runs the popular family travel blog, Taylor Hearts Travel. Char describes herself as "an impatient travel addict, an explorer, an opportunist, and a dreamer". A part of a select team of bloggers at top ten UK travel blog, The Travel Hack, she has won recognition by Huff Post Lifestyle, Yahoo Style and Company Magazine and has partnered with brands such as KLM, Visit Orlando, Cyprus Tourism Board etc. While her travels started more than a decade ago, she has been blogging about it only since 2013. She travelled throughout her maternity leave with her son, Nova, who is around two now. Her blog inspires travellers and provides tips for exciting and interesting travel with children. From backpacking your way round the world to travelling with your family and staying at classy boutique hotels, how has the transition been for you? My travel choices have changed with my lifestyle, so it's been pretty seamless. I don't have the luxury of taking months off work, like I did when I was younger so time definitely influences my travel plans. Similarly, earning more money has enabled me to access stylish travel. Which has been your most memorable holiday so far and what made it so? 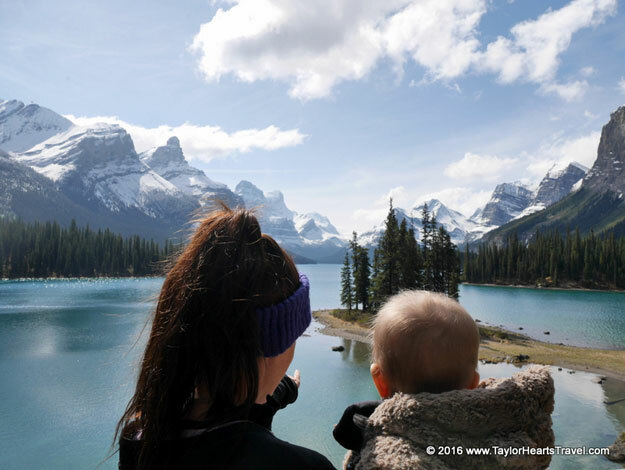 It has to be our first long-haul family trip to Canada with our six-month old son. We had the time of our lives. We split our time between Edmonton and Jasper National Park in Alberta. The scenery just blew our minds; gorgeously imposing mountains, serene turquoise lakes and glistening glaciers. It didn't feel like real life and we're already planning another trip back to Canada. How does your little one adapt to different places? Have you ever had difficulty in managing him in different time zones and weather conditions? He doesn't know any different because we've been travelling with him since he was two months old. He's pretty laidback and although we have a routine at home, it's a loose one. He's been happy at the top of a mountain and equally as smiley on a sunny beach. I think jet lag is definitely the hardest thing to conquer, for both adults and children. It's especially hard when you're trying to deal with an over-tired baby, whilst managing your own jet lag! You admit that eating out can be tricky for you as a family, since you are a vegetarian and your husband a meat lover. And then there's Nova to take care of. During your travels around the world, which have been the best cities/spots where eating out has actually been a pleasant experience for you all? San Francisco offered endless choices, which probably isn't that surprising as their restaurant to square foot ratio is incredible. The Plant, Mama's and The Cheesecake Factory had good options. Barcelona and Madrid also seemed to have loads of good options for us. What are the essentials you take along when travelling with your baby? We always take our Nuna SENA travel cot as Nova sleeps well in it. We also take our Nuna PEPP Luxx stroller as it folds in one piece, fully reclines flat and has an amazing extended sun shade. Up until recently (Nova is now toilet trained) we've always travelled with enough nappies for our trip as we haven't wanted to spend our time visiting supermarkets for supplies. What's the one place on your bucket list that you want to visit with your babies in the near future and why? It would have to be Vancouver. We had such an amazing time in Canada so we're keen to go back once our second mini-explorer has arrived. We like that it ticks the city box, but that you can easily venture to Vancouver Island and other spots like that. What tips and advice would you like to share with mothers who wish to travel with their little ones? Please don't be put off by people that say you can't travel with babies and toddlers. I found the majority of those people didn't even have children so they weren't speaking from experience. When I was pregnant with my first I was told so many times that I'd never travel again, which is just ridiculous and even for the well-travelled, is unnerving. You most definitely can and family travel can be exciting, fun and adventurous. I've proved that again and again. In terms of more practical tips; plan and prep as much as possible. That applies to packing, activities, accommodation - basically the lot. Also, don't try to cram too much into each day. Please share your upcoming travel plans with our readers. My overseas adventures are on pause whilst I enjoy the last few weeks of my pregnancy. We're hoping to make it to Canada next spring. In the meantime we will be exploring Norfolk, Worcestershire and Surrey through various staycations. This interview with Char is a part of Travel Trolley's ongoing 'Best of the Travel Bloggers' series. We are interviewing popular travel bloggers who encourage and inspire people to travel. Check out all the bloggers we have interviewed and learn about their interesting experiences, adventures, travel stories as well as useful holiday tips.